We are happy to share with you the details of the official public launch of our ArtLeaks Gazette which will take place at the Brecht Forum in NYC on Saturday, May 4th from 7 PM! Hope to see many of you there – we promise it will be an exciting evening! Please help us spread the word by sharing this announcement! ArtLeaks members would like to initiate an open discussion at the Brecht Forum in NYC on May 4th from 7 PM, around our upcoming ArtLeaks Gazette, focused on establishing a politics of truth by breaking the silence on the art world. This will be the official public launch of our gazette, which will be available online and in print at the beginning of May 2013, and will be followed by a series of debates in the near future. Recently, this spectrum of urgencies and the necessity to address them has come sharply into the focus of fundamental discussions in communities involved in cultural production and leftist activist initiatives. Among these, we share the concerns of groups such as the Radical Education Collective (Ljubljana), Precarious Workers’ Brigade (PWB) (London), W.A.G.E. (NYC), Arts &Labor (NYC), the May Congress of Creative Workers (Moscow), Critical Practice (London) and others. Eager to share our accumulated knowledge and facilitate a critical examination of the current conditions of the cultural field from a global perspective, we are equally interested in questioning, with the help of the participants in the event, the particular context of New York City with its cultural institutions, scenes and markets. The event will be divided in two parts. In the first, we will announce and present the forthcoming ArtLeaks Gazette. Focusing on the theme “Breaking the Silence – Towards Justice, Solidarity and Mobilization,” the structure of the publication comprises six major sections: A. Critique of cultural dominance apparatuses; B. Forms of organization and history of struggles; C. The struggle of narrations; D. Glossary of terms; E. Education and its discontents; and F. Best practices and useful resources (More here http://art-leaks.org/artleaks-gazette.) This publication gathers contributions from different parts of the globe, highlighting both historical initiatives and emerging movements that engage issues related to cultural workers rights, censorship, repression and systemic exploitation under conditions of neoliberal capitalism. This also becomes an opportunity to bring up for discussion a series of questions that have defined ArtLeaks’ activity and that we would like to tackle anew in conjunction with local cultural producers in the second part of the event: What are the conditions of the possibility of leaking information concerning institutional exploitation, censorship, and corruption in the art world? What does it mean to speak the truth in the art field and to whom may it be addressed? What analogies and what models can we use in order to describe and operate within the conditions in which cultural workers pursue their activities? We aim to bestow a greater level of concreteness to these questions by inviting the participants to share its own concerns and experiences related to inequality of chances, structural injustice and forced self-censorship within the context of their work. We are also interested in discussing current collaborations and future alliances and projects that unite common struggles across international locales. Visual and scriptural material which documents the evening will be uploaded on the ArtLeaks platform. The Brecht Forum has a donation sliding scale of $6 to $15. We recommend registering for this event in advance here. Even if you are unable to make a donation, we still encourage you to come – we will not turn away anyone that wishes to participate in the discussions. The Arthur Svensson International Prize for Trade Union Rights for 2013 is awarded to Russian trade union leader Valentin Urusov. He was falsely imprisoned after leading a strike against dangerous working conditions in the diamond industry. “Urusov has become symbolic of the struggle for workers’ rights and freedom of association in Russia,” says Leif Sande, committee chair and head of the LO trade union Industri Energi. The Arthur Svensson prize is a prize from a broad Norwegian trade union movement. This year’s prize goes to fearless trade union leader Valentin Urusov, who has been falsely imprisoned for many years. As the leader of the trade union Profsvoboda at Alrosa, the world’s second largest diamond mining company, he led a hunger strike with more than one thousand workers against inhumane working conditions and low pay. Leif Sande, Committee Chair (Industri Energi), former LO presidents Gerd-Liv Valla and Yngve Hågensen, Randi Bjørgen (former President of the Confederation of Vocational Unions), Helga Hjetland (former President of the Union of Education Norway), Finn Erik Thoresen (Board Leader of Norwegian People’s Aid) and Liv Tørres (General Secretary of Norwegian People’s Aid). 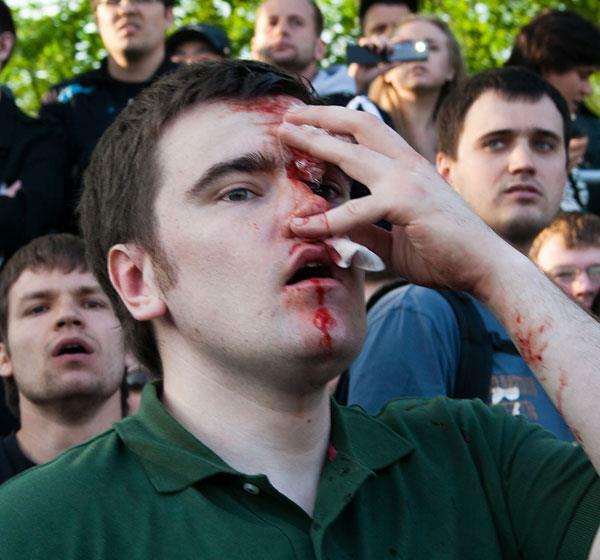 After the strike, Urusov was arrested, beaten up and his life was threatened. He was forced to sign a confession admitting possession of drugs. The police had brought an executive from Alrosa along as a witness, an example of how the company controls courts and the police in the republic. “He was imprisoned on what were clearly false accusations, and both the UN’s International Labour Organisation (ILO) and Russian and international trade union organisations have been involved in trying to get him released,” says Leif Sande, committee chair and head of the LO trade union Industri Energi, which took the initiative for the prize. Urusov was released in March of this year after it became known that he had been nominated for the Svensson prize. The rest of his five year prison sentence has been converted into a fine demanding 15% of his income throughout the remainder of his sentence. In addition, he is not permitted to leave the country. 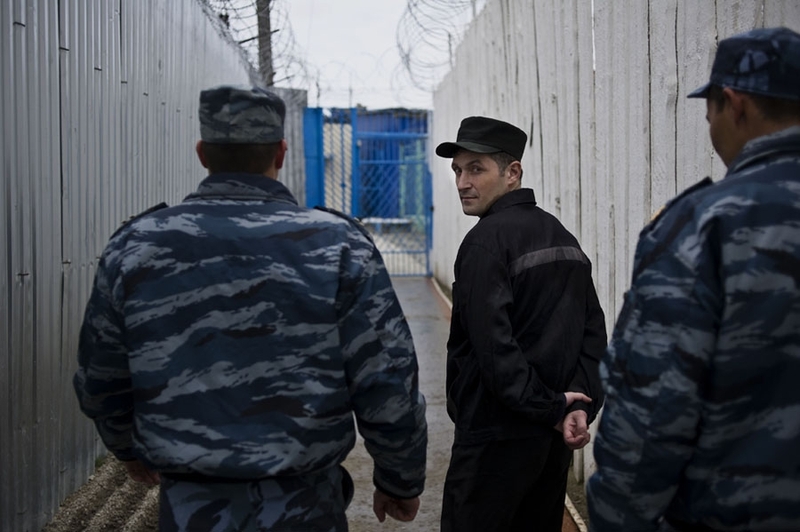 The imprisonment and harassment of Urusov has become symbolic of the struggle for workers’ rights and freedom of association in Russia. The committee alludes to the fact that he has full support from all the Russian trade unions, and that he was nominated for the prize by a number of trade union organisations throughout Europe. The international trade union movement, led by the International Trade Union Confederation, has been highly involved in his case. “The Arthur Svensson international prize is first and foremost a helping hand – and an acknowledgment – to union officials and trade unionists around the world fighting for workers’ rights under dangerous conditions,” says Sande. We thank this year’s recipient of the prize, Valentin Urusov, for his courage in the fight against poor working conditions in the Russian diamond industry. In their citation, the committee write that they are concerned about the workers’ rights situation in Russia. The right of free association, right to collective bargaining and right to strike have long been under pressure, and it may appear that conditions are deteriorating further under Putin’s current regime. Thus, the prize is also being awarded to bring these conditions into focus, and in support of Russian workers. The Arthur Svensson International Prize for Trade Union Rights is awarded to individuals who, or organisations which, have made noteworthy efforts to promote the work of trade unions and workers’ rights nationally and internationally. Last year’s prize went to the Cambodian trade union the Coalition of Cambodia Apparel Workers Democratic Union, C.CAWDU. The prize is NOK 500,000 and is awarded annually. The prize is named for the former leader of the Norwegian Union of Chemical Industry Workers, Arthur Svensson, who was especially engaged in international solidarity. This year, the prize will be awarded during a formal ceremony held at Folkets Hus on 19 June.